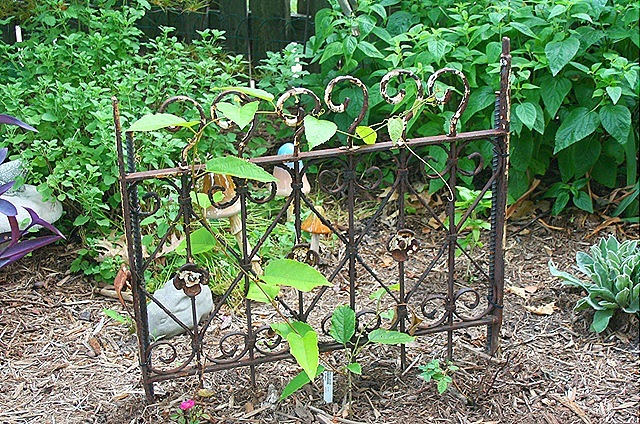 I love my latest "old iron" acquisition for the garden. I've got several iron pieces around the yard, tucked in here and there. 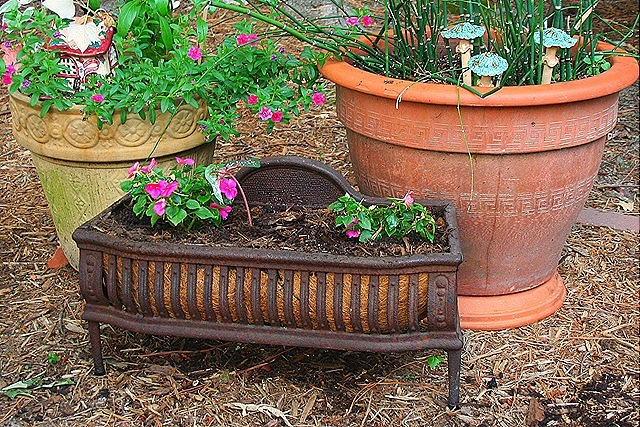 All of those items are perfect in your gardens. I especially love that Buddha! awesome pictures. 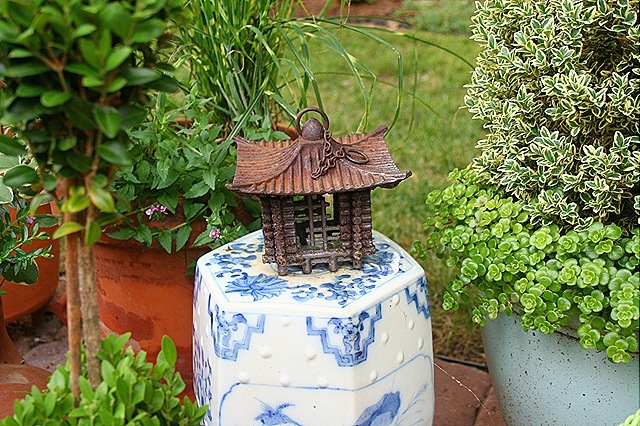 that iron fence and the iron buddha in your garden is just wonderful. 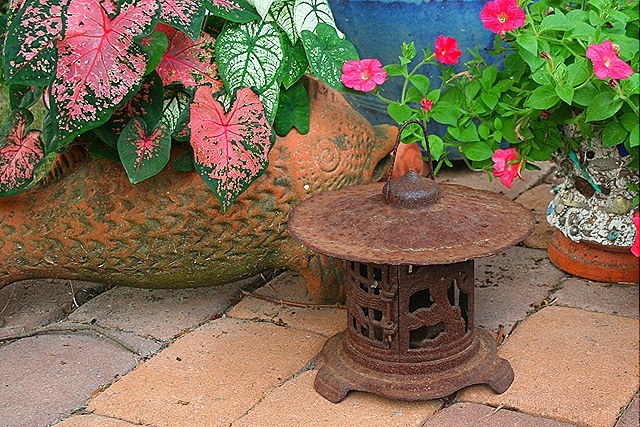 Love all the iron pieces in your garden. 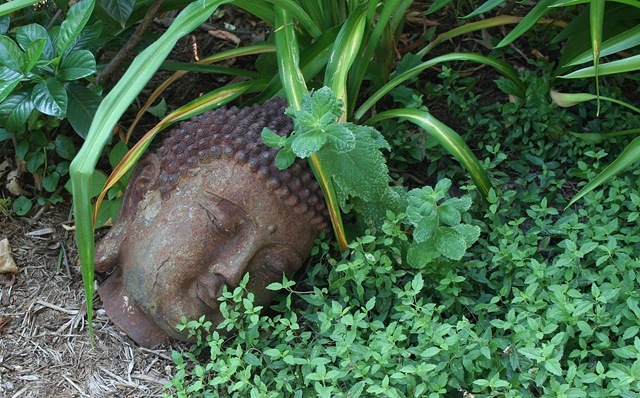 That planter and Buddha especially. I need to get out more to score some great finds like yours!